I am sharing this life sketch of David Davis Williams and Rebecca Price Williams. The original version was written by William Jenkin Williams and found in the records of Eliza Williams Rees with insights from her granddaughter Betty Mifflin Bushman taken from family interviews and her own experience. For the most part I will stick to the original history. I do not have any photos to share, but since I have the history, I wanted to make it available. Before I jump into the rest of the life sketch, I think it is important to connect these individuals to my family history. I have previously written of the marriage between David D Williams and Gwenllian Jordan. David D Williams had a brother named John Haines Williams. David Davis Williams is the son of John Haines Williams. I will provide more family information after the life sketch. “David D. Williams was born in Llanelli, Carmarthenshire, Wales on June 19, 1852, a son of John Haines Williams and Sarah Jane Davis. He came to the United States with his parents, settling first in Pennsylvania in 1858. In 1860 the family moved to Ogden, Utah, crossing the plains with in a handcart company led by Captain Elias Morris. It was the second ox team to land in Ogden. From there the family went north to the Malad Valley where they settled in Muddy Creek, living in a dugout where some of the children were born. They later moved to Gwenford. “Rebecca P. Williams was born on New Year’s Eve, December 31, 1857, at Merthyr Tydfil, Glamorganshire, Wales, a daughter of Jenkin Williams and Eliza Price. She was baptized (LDS) in Wales on December 11, 1867 by her father, Jenkin, and confirmed by John Thomas. With her parents, she came to this country for the gospel’s sake, settling in Pittsburgh, Pennsylvania. After living there two years, they went to the Malad Valley in the year 1872. “On Rebecca’s birthday, December 31, 1877, she and David were married in St. Johns, Oneida, Idaho by Justice of the Peace William H. Waytell in the presence of Benjamin Waldron and Mary Ann Daniels. “David was baptized (LDS) 8 March 1878 by John Evan Price and confirmed by Samuel D. Williams. “He and Rebecca took up a farm in Gwenford where they lived for about twenty years. During this time David operated a freighting business between Kelton, Utah and Helena, Montana, a trip that would take him about three months. He served as a deputy sheriff, was the first Chief of Police of Samaria, Idaho, and even worked as a blacksmith. Later he went into the confectionery business and operated a business and general store, D.D. Williams Candy Kitchen, with Rebecca in Samaria until his death June 27, 1927. He was a man, it is said, who could not be idle. His daughter, Eliza, described him as a wonderful husband and father. His granddaughter, Mae Rees Mifflin, remembers him with great fondness also. She named her first child, Darla Dean, after her grandfather. It is a wonder that Darla was not nicknamed Dee Dee too. “About him, a grandson, Ray Earl Rees, told the following story: Their daughter, Eliza (Ray’s mother), had a washing machine. In order to help her elderly parents, she would do their laundry. Every Monday morning Grandpa David would drive his buggy the few miles to Malad with a bundle of clothes for her to wash. Grandpa would drive the team around to the north road and enter the farmyard by the back way. About the time he was expected, Ray would wait out by the gate to open it for his grandfather. Then he would climb up in the buggy with him and ride up to the house. Always Grandpa Williams had a sack of candy for Ray. He could depend on that treat and waited eagerly for it each Monday morning. “When the family would visit their grandparents in Samaria, it was a treat to go in to the store and see all the candies on display behind the glass counter. Rather than give the children candy, Grandpa Williams would give them each a nickel and let them do the choosing. They were not allowed to go around the counter, but while he smiled encouragement to them, they would stand before the counter and choose their treat. “He was the sweetest man who ever drew a breath, Ray said about his grandfather. “David was always a prominent figure in our childhood stories about family as our mother was said to be his favorite. He even appeared to her to tell her goodbye after his death. “It seemed so romantic to my sister and me that he and Rebecca married on my favorite holiday of the year, New Year’s Eve. That day was also Rebecca’s twentieth birthday. Her present was our handsome, nice great-grandfather. What a perfect party time to have a wedding anniversary. “Rebecca is remembered by her daughter, Eliza, as a wonderful mother and homemaker, never being one to go away from home. She had a wonderful alto voice and when the children were small, she would often gather them around and sing to them. “After her children grew up and married, she helped her husband in keeping the confectionery store. Many remember stopping there as youngsters on their way to Mutual to share a soda and socialize. They were always reminded not to be late for their church meeting by Rebecca, who would usher them out the door at ten minutes ’till. Later the teenagers would reunite there to pick up where they had left off. “Her daughter, Eliza, described her this way, Rebecca P. Williams was loved by all who knew her. She was kind to everyone and did not have an enemy on earth. “Great-Grandmother Rebecca was always a colorful figure to my sister and me. As the youngest surviving child in her family of eleven children, we loved the story of how when the family came from Merthyr Tydfil, Wales, she was assigned to carry a beautiful crystal bowl for her mother. With it wrapped in a shawl, fourteen-year-old Rebecca later carefully tended it all the way to Idaho. Through interesting circumstances, that bowl was inherited by our grandmother, then Mama, and finally Darla. Since Darla also inherited Grandma Rees’ beautiful china closet, it seemed quite natural that the Welsh bowl would always rest inside it. At any rate, I never ever expected it to be mine. One day when I was picking up Darla to bring her to my house for a day’s visit, her daughter, Alyce, walked out to the car with us. In her hands, Darla was carrying something wrapped in a piece of fabric. She handed it to me with a smile saying that she had a present for me as a little thank you gift because I was so good to her. With Alyce looking on and smiling too, I turned back the cloth to see the Welsh bowl. Ignoring my protests that it was hers and that I could not accept it, she said she knew it would be safer in my home, that I would take good care of it and always treasure it. Alyce said they had talked it over and both felt that it should be mine. How I love to hold and admire that bowl. Made of clear glass in a square shape, scalloped edging runs along its rim and base. With a small pedestal and lion heads at each square corner, it is truly a work of art and indeed a special item. I love knowing of its history and importance in our family. When we would look at it as children and hear its story, it was always viewed in quiet awe or discussed in hushed tones. Never, ever, did I think it would be mine. I felt amazed, quite honored, and a bit afraid of the responsibility. “David died on 27 June 1927 after an illness of eight months. “Later Grandma Rebecca moved to Malad where she resided just across the street from her daughter, Eliza. I remember Grandma carefully preparing a plate of dinner each evening for her mother. It was usually the job of Uncle Ray to deliver it with a caution to hurry so it would be hot for his grandmother. When I was around, he would often grab me by the hand and together we would dance across the street as he deftly carried the napkin covered plate in one hand and dragged me along with the other. “I remember her as a frail little lady, a bob of white hair on top of her head, wire-rimmed glasses perched on her nose as she looked us over. Books and magazines were plentiful in her small apartment and always a deck of cards. In addition to reading, she liked to play games, playing Solitaire to entertain herself when no one else was around. “Rebecca died on March 30, 1936 at the age of 84, a few months before my fifth birthday. “Both are buried in the Samaria Cemetery. David Davis Williams born 19 June 1852 in Llanelli, Carmarthenshire, Wales and died 27 Jun 1927 in Samaria, Oneida, Idaho. He was buried 30 June 1927 in Samaria. Rebecca Price Williams born 31 December 1857 in Merthyr Tydfil, Glamorganshire, Wales and died 30 March 1936 in Malad, Oneida, Idaho. She was buried 2 April 1936 in Samaria. David and Rebecca were married 31 December 1877 in St Johns, Oneida, Idaho. 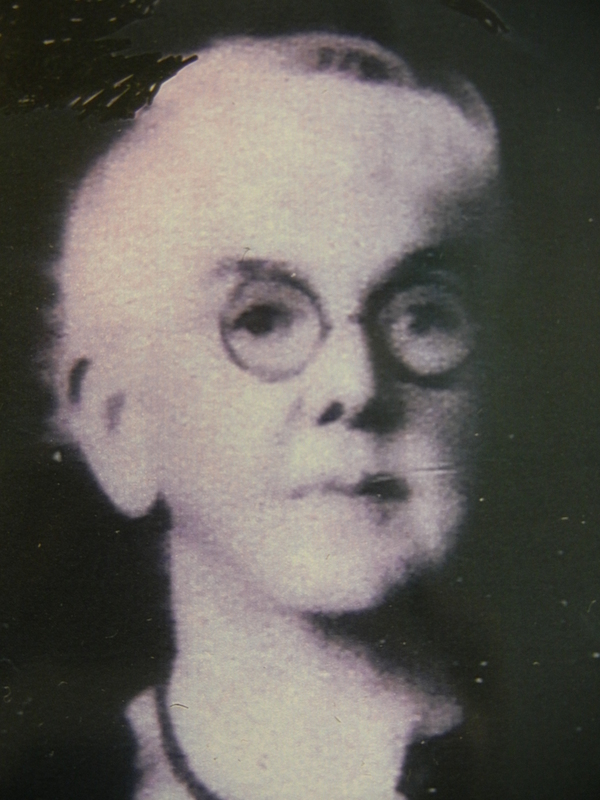 Sarah Elizabeth Williams born 22 August 1878 in Samaria and died 31 February 1968. Buried in Draper, Salt Lake, Utah. She married James Benjamin McGuire (1872-1952) 30 September 1900 in Samaria. 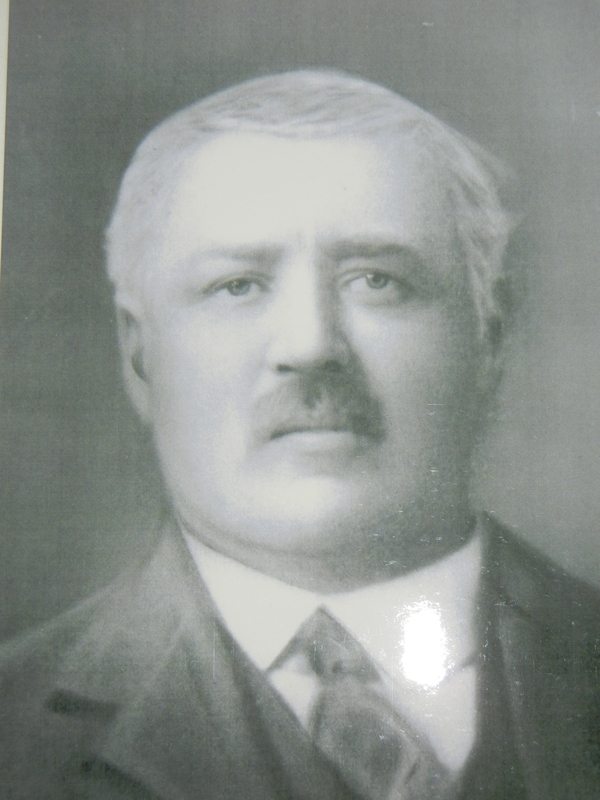 John Jenkin Williams born and died 23 September 1879 in Samaria. Buried in Samaria. Mary Jane Williams born 10 April 1881 in Samaria and died 14 January 1975. Buried in St Johns. She married John Nelson Hill (1872-1913) 22 February 1899 in St Johns. David Joseph Williams born 26 February 1883 in Samaria and died 4 April 1973. Buried in Malad. He married Ester “Essie” Katherine Munsee (1888-1967) 25 March 1908 in Ogden. Phoebe Ann Williams born 12 December 1884 in Samaria and died 15 March 1942 in Salt Lake City, Salt Lake, Utah. Buried in Riverton, Salt Lake, Utah. She married Thomas Charles Jones (1883-1922) 4 July 1903 in Samaria. William Jenkin Williams born 24 Jul 1886 in Samaria and died 5 Jun 1963. Buried in Samaria. Married Mary Mae John (1901-1989) 26 February 1921. Eliza Mae Williams born 10 February 1888 in Samaria and died 6 July 1967 in Ogden. Buried in Ogden. Married Gomer Vaughan Rees (1883-1971) 24 November 1904 in Samaria. Margaret Rebecca Williams born 25 November 1889 in Samaria and died 9 November 1980. Buried in New Philadelphia, Tuscarawas, Ohio. Married Walter Russell Ripley (1895-1979) 13 December 1913 in Malad. John Haines Williams born 31 May 1891 in Samaria and died 25 February 1957 in Malad. Buried in Malad. Married Eleanor Jones (1899-1975) 29 March 1916 in Malad. Catharine Zina Williams born 14 August 1893 in Samaria and died 19 Oct 1988 in Salt Lake City. Buried in Malad. Married Elijah R van Ables (1892-1961) 12 December 1920 in Malad. Beatrice Estella Williams born 30 July 1894 in Samaria and died 9 December 1976. Married Carl William Jones (1892-1958) 4 April 1913 in Malad, later divorced. Married Allen John Keehn (1888-1957) 16 November 1938 in Elko, Elko, Nevada. 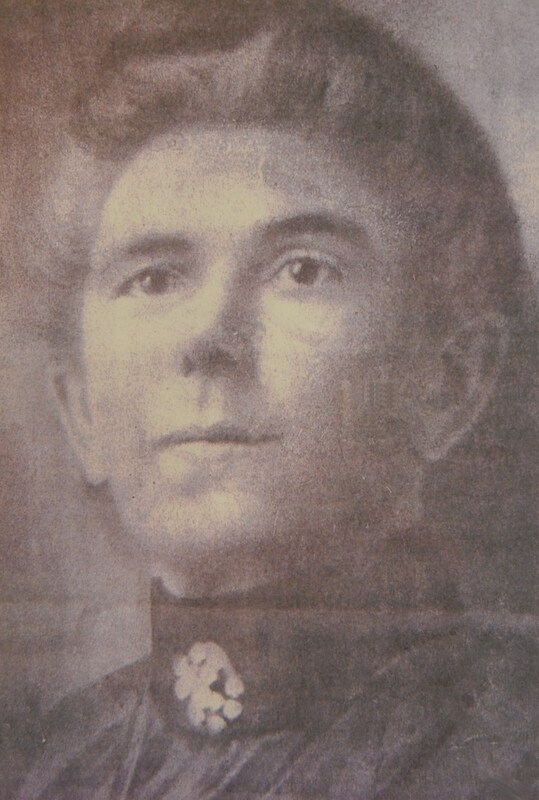 Frances Orenda Williams born 6 May 1897 in Samaria and died 10 September 1897 in Samaria. George Thomas Williams born 22 February 1901 in Samaria and died 24 June 1962 in Pocatello. Buried in Restlawn Memorial, Pocatello, Bannock, Idaho. Married Theona Withers (1906-1990) 4 October 1924 in Malad.